The stage was set for one of the greatest high school rivalries on the island. 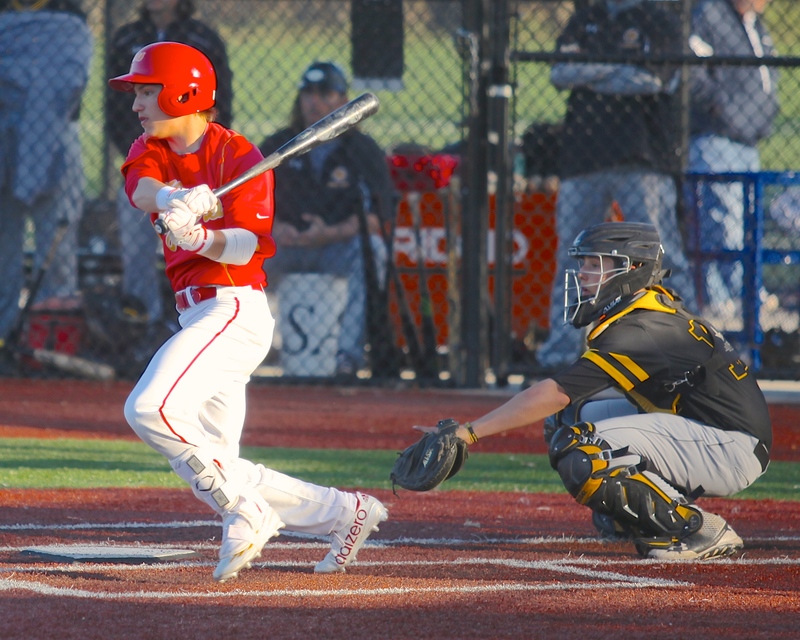 With fans buzzing on the crisp spring afternoon, Chaminade’s varsity baseball team squared off against the St. Anthony’s Friars in a best-of-three series starting on Tuesday, April 19. Senior Julien Arcos, boasting a 3-0 record, attempted to stymie the Friars’ potent offense; however, the tension came to a screeching halt when the players realized one key element was missing from the game: umpires. Due to a miscommunication, the rivals were forced to borrow an official from the adjacent junior varsity game until the “reinforcements” arrived. The anticipation in the air was tense, and both teams were anxious to start after the 30-minute delay. Fresh off a win against tri-state powerhouse Cardozo, the Flyers took the field with passion and enthusiasm, hoping to avenge two losses at the hands of the Friars during the 2015 season. The team came in focused, knowing that the Friars would once again prove to be a formidable foe. The visiting Flyers stepped up to the plate first. Both dugouts screamed cheers of confidence and assurance to their respective players. The game got off to a fast start, with Anthony Greco ’16 stepping into the batter’s box. Greco jumped on a knee-high fastball and sent a rocket towering over the left field monster. Fans and players alike stared into the sun, trying to determine whether or not the ball would go over the fence. Greco sprinted to first base, equally confused, but was pleasantly surprised by the roars of his teammates as he rounded first base. 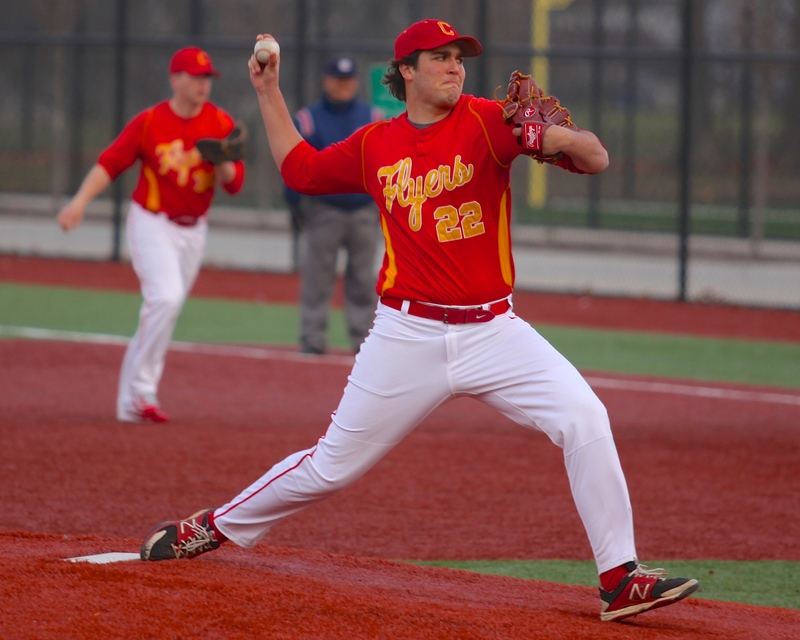 The Flyers took the field in the bottom of the first inning with a slim one-run lead, but pitcher Julien Arcos continued his streak of brilliance, dominating the St. Anthony’s offense. Catcher Straton Podaras ’16 called a marvelous game and allowed Arcos to succeed. Arcos would end up throwing a complete game on 99 pitches with 10 strikeouts and 0 runs allowed. The Friars scattered 6 hits and worked 2 walks, but they were no match for the Flyers’ stellar defense. Seniors Cole Masterson, Joe Pizzingrillo, and Mike Goulard held down the infield, and Nick Sciortino ’16 made center field the place where hits came to die. Outfielder Ryan Spalding ’16 also joined in on the defensive display, throwing out a runner trying to score from deep in right field. Spalding’s throw reached a leaping Straton Podaras ’16, who tagged the Friar out at home. Nevertheless, the offense put on a show of their own. The daunting lineup, led by designated hitter Patrick O’Sullivan ‘16, exhibited good patience and exhausted the Friar pitching staff. After loading the bases in the 5th inning, Anthony Greco came to the plate again. He placed a perfect single between first and second, scoring a run. Clean up hitter Joe Suozzi ’16 came to the plate two batters later and added an RBI of his own to the line score. The Flyers would end up winning the game 3-0. “It felt great to go the distance and get the win for the team,” noted Julien Arcos. The Flyers won game one, but would fall in games two and three in close contests. While the Flyers ended up losing the series, they played well as a team and fought until the last out.